Every good business owner and marketer relies on the data that shows how certain areas of their marketing focus are performing. Tracking your social media performance is just as important. 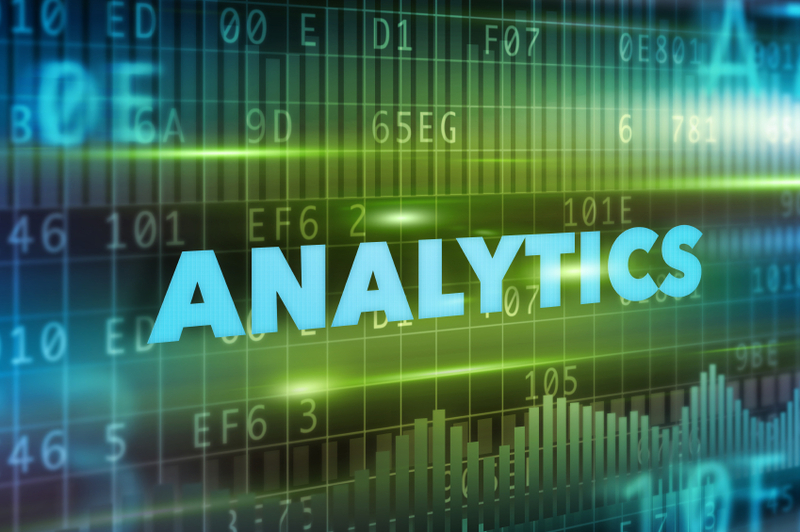 Using the right analytical tools to help you is essential. You can be active on all of the social media channels you want, but if you don’t know how they are helping your business, you will never be able to use them to get ahead. You can have 10,000 followers, but if you are only getting 35 engagements, then you know something is wrong. 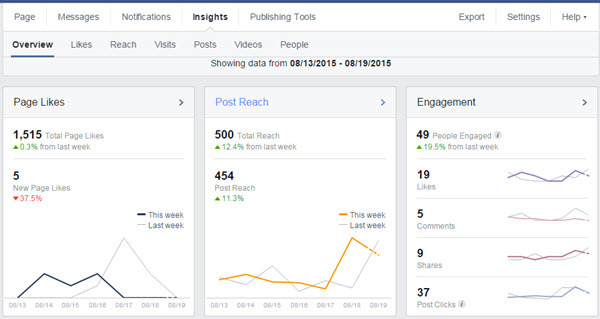 Tracking your social media analytics gives you the complete insight into what is working and where it is working. Below are four of the most popular and easy to use analytical sites you should start implementing to help your business as soon as possible. The best part is they are all free to use! 1. Google Analytics – Google Analytics is a tool that can show you how each one of your social media channels performs. It allows you to set goals in daily, weekly and monthly formats as well as options to break down your tracking by channel. It also helps you to understand how your social media interactions play into the sales conversion process and how to effectively drive traffic to your site. With new updates, you can also do experiments to see what kind of posts will increase your conversion rate. 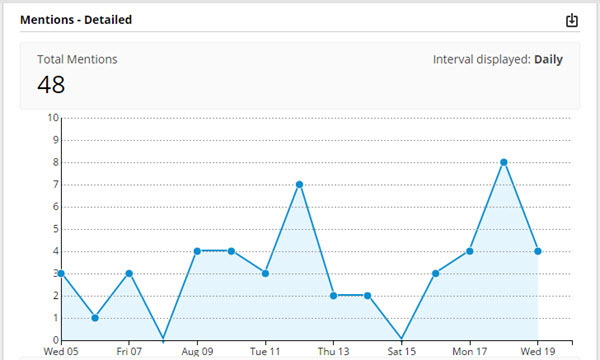 Here is a screen shot from Google Analytics that shows social media sessions, pageviews, average session duration and pages per session. Go to Acquisition, then Social for the social media reports in your Analytics account. 2. Hootsuite. In order to use the Analytics in Hootsuite, you must be a subscriber. But the insights received are very informative. 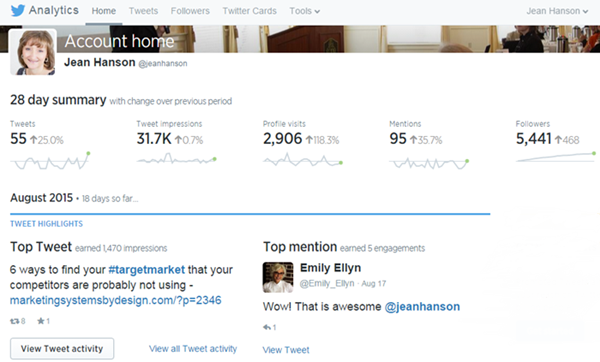 Below are examples of Twitter analytics, which include Follower Growth Count, Mentions and Retweets. If your posts are not getting much engagement, it’s time to see if your Twitter followers are the right target market, and look at how you can improve your posts for more engagement. 3. Site-specific Analytical Tools. Facebook, Twitter and LinkedIn all offer their own analytical tools. Each one of these tools tracks what is going on in their respective channel. They all show insights into how each post is performing, how many views it has had verses how many engagements each post brings in. These site-specific tools are a great way to see how posting on different days at different times matter. This data should then be paired with your social media scheduling calendar to maximize your audience in each post. Each site has different specifications. Facebook’s analytical tool is called Facebook Insights. It’s available after you reach 30 likes. Twitter analytics show you the top posts for each month and how many impressions you have reached on both your posts and for the overall month. Both Facebook and Twitter give you options to run ads and promote your business for a nominal fee. Additional analytical tools are available with these paid posts. LinkedIn Analytics shows you the metrics from your page divided into three sections – updates, followers and visitors and how each section is influencing your posts. There is additional information in your Facebook Analytics that includes statistics on your 5 most recent posts, and “Pages to Watch”. Here you can watch competitors’ Facebook pages to compare their engagement and activity to yours. 4. Klout. Klout is a completely different kind of analytical tool. It takes all of your social media data, including retweets, mentions, comments, wall posts, likes and shares and wraps them up into a Klout score. This number between 1 and 100 reflects how influential you are on social media. The average Klout score is only 20, but the higher your score, the more influential you are seen. Your Klout score can vary on a day-to-day basis depending on how much you are posting and how engaged your followers are. When you are gathering your data to see how your social media channels are performing, you don’t have to use all of the programs available. 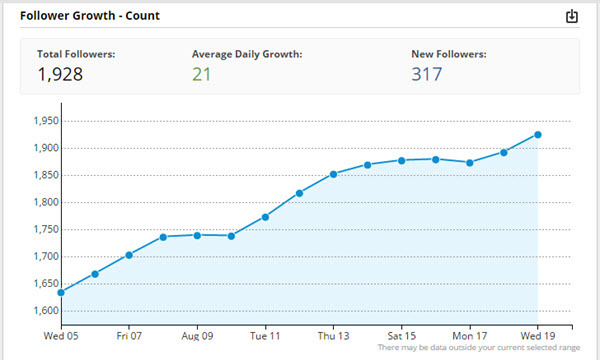 However, if you want a complete comprehensive view of your social media analytics, you should use them all together! While most of the analytical tools give you an overview and breakdown, the site-specific tools are going to give you the most precise data for those sites. Combining it all together will show you exactly where your social media marketing skills are paying off and where you should invest more time.